As the world’s number one tourist destination – with 80 million foreign visitors in 2011 – France draws on its cultural diversity, gastronomy and art de vivre, as well as a wide variety of architectural heritage and landscapes. As the world’s fifth largest economy, it is also a preferred destination for business travel: every year, close to 20 million visitors attend more than 500 events, conferences and trade shows. 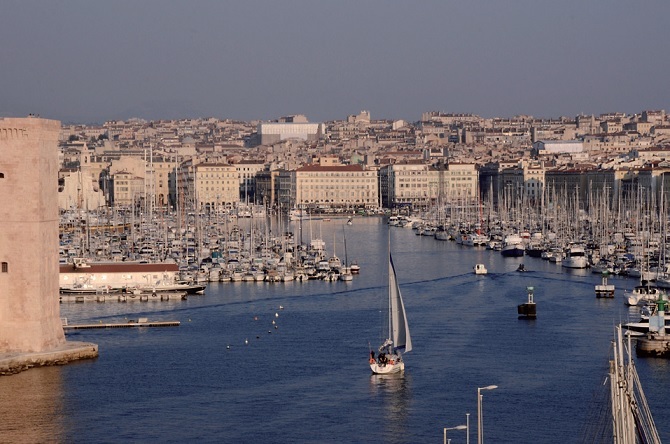 Various sporting and cultural events are set to drive an increase in the country’s hotel capacity: Marseille is the European Capital of Culture in 2013, the Caen region is due to host the World Equestrian Games in 2014, while the Paris region will see the UEFA European Football Championship in 2016 and golf’s Ryder Cup in 2018. The quality of tourist services has been enhanced, in particular, by reforming the hotel classification system. France has 17,000 classified hotels, offering a total of 600,000 rooms. The new scale has five star ratings (in place of four previously), with a “Palace” rating awarded to certain five-star hotels. France boasts a number of historic sites – often located in city centers – that have been put up for sale and are being or would be suitable for hotel conversions. These include the former courthouse in Nantes, the former Strasbourg police headquarters and hospitals in Lyon and Marseille. France’s tourist potential has led leading global hotel groups to increase their presence in the country. Accor group, the world’s fifth largest hotel group and leader in the French market, has 1,489 hotels. - Louvre Hotels Group, owned by American fund Starwood Capital, has 800 hotels in France. - American brand Best Western has 310 hotels in France. - American franchise network Choice Hotels has 140 hotels in France. - British group IHG, the world’s number one hotel group, has 60 hotels in France. In the upscale segment, the 2010 opening of the first European hotel belonging to Chinese chain Shangri-La Hotels & Resorts, the 2011 opening of the Mandarin Oriental owned by Chinese group Jardine Matheson, and the forthcoming opening of the first European hotel owned by Chinese brand Peninsula, all in Paris, have marked the arrival of Asian investors, some of whom are already interested in other major French cities. According to a forecast on the European hotel market published recently by PricewaterhouseCoopers, Paris is expected to register the best operating performances among major cities in Europe in 2013. The Invest in France Agency (IFA) is the national agency responsible for promoting and facilitating international investment in France. It also coordinates initiatives to promote France’s economic attractiveness. The IFA network operates worldwide, with offices in France as well as in North and South America, Europe, the Middle East and Asia. In France, the IFA works in partnership with regional development agencies to offer international investors outstanding business opportunities and customized services. For further information, please visit www.investinfrance.org.